Parliamentarians from 16 countries in the Middle East and North Africa are meeting in Egypt this week at a high-level regional conference to discuss the role of parliaments in combatting terrorism and violent extremism. The high-level regional conference will focus particularly on the threat posed by foreign terrorist fighters (FTFs). The United Nations had estimated in 2017 that around 40,000 foreign terrorist fighters from 110 countries travelled to join the conflicts in Syria and Iraq. With the military defeat of ISIL, many of them are now attempting to return to their countries of origin or to relocate elsewhere, according to a recent report of the United Secretary-General (see below). The conference aims to improve parliamentary cooperation and the exchange of relevant experiences and good practices; get views from parliamentarians on the challenges in implementing United Nations resolutions; contribute to establishing a Global Parliamentary Network on Countering Terrorism and Violent Extremism; and raise MPs’ awareness of recent developments related to foreign terrorist fighters. The conference funded by the European Union under the framework of the EU/UNODC 5-year Global Initiative on Foreign Terrorist Fighters and is jointly organized by the IPU, the House of Representatives of Egypt, the United Nations Office on Drugs and Crime and the United Nations Office of Counter-Terrorism. It is a part of the activities of the joint IPU-UNODC-UNOCT Programme, which seeks to support Parliaments in implementing international counter-terrorism instruments and obligations and provide them with the necessary tools and training to do so as guided IPU High-Level Advisory Group on Countering Terrorism and Violent Extremism. The IPU has been working on the prevention of terrorism for several years. Since 1996, the IPU has adopted 12 resolutions related to terrorism, which have emphasized cooperation with the United Nations. The United Nations, in its resolutions, stresses the important role that parliaments play in ensuring that governments comply with international law. The United Nations on Drugs and Crime is the key United Nations entity for the provision of legislative and capacity building assistance to Member States, upon request, for the ratification, legislative incorporation and implementation of the international legal instruments against terrorism. 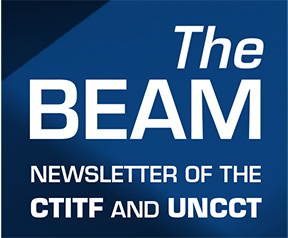 Mandated by the United Nations General Assembly, UNOCT was established in June 2017 to provide leadership to the implementation of General Assembly counter-terrorism mandates, to enhance coordination and coherence, and to strengthen the delivery of the United Nations counter-terrorism capacity building assistance to Member States. A recent report by the Secretary General of the United Nations (S/2019/103) on the threat posed by the Islamic State in Iraq and the Levant (ISIL, also known as Da’esh) pointed that despite the military defeat in Iraq and Syrian Arab Republic, ISIL continues to represent a serious threat to international peace and security. The global threat posed by ISIL/is exacerbated by the phenomenon of foreign terrorist fighters who, after having gained experience in hard battles, remain in conflict zones (an estimated 3000 are in Iraq), seek refuge in their countries of origin, or travel to other nations. Even when they are detained, there is a clear risk that these prisoners will radicalize others. This challenge is complex and multi-faceted -- such as the return of the women and children of these combatants, or that of the “frustrated travellers”, who have failed to reach the core conflict zone, have been redirected elsewhere by ISIL or gone at their own initiative, sometimes after lying low for some time in a transit location. In response to this issue, the United Nations Security Council adopted a number of resolutions, and in particular 2178 (2014) and 2396 (2017) as well as the so-called “Madrid Guiding Principles” in 2015, a practical tool to assist Member States in stemming the flow of foreign terrorist fighters. Adopted in December 2018 by the Council, an “Addendum to the Madrid Guiding Principles” provides updated guidance for Member States to address the evolving threat posed by the foreign terrorist fighters (FTF) phenomenon, especially the return and relocation of FTFs and their family members. 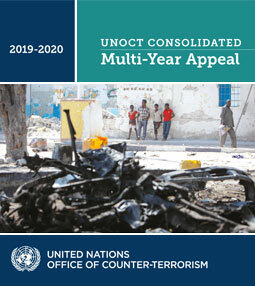 UNOCT facilitates the provision of “All-of-UN” capacity-building assistance to Member States through the United Nations Capacity Building Implementation Plan for Countering the Flow of Foreign Terrorist Fighters, addressing the full life-cycle of the FTF phenomenon.